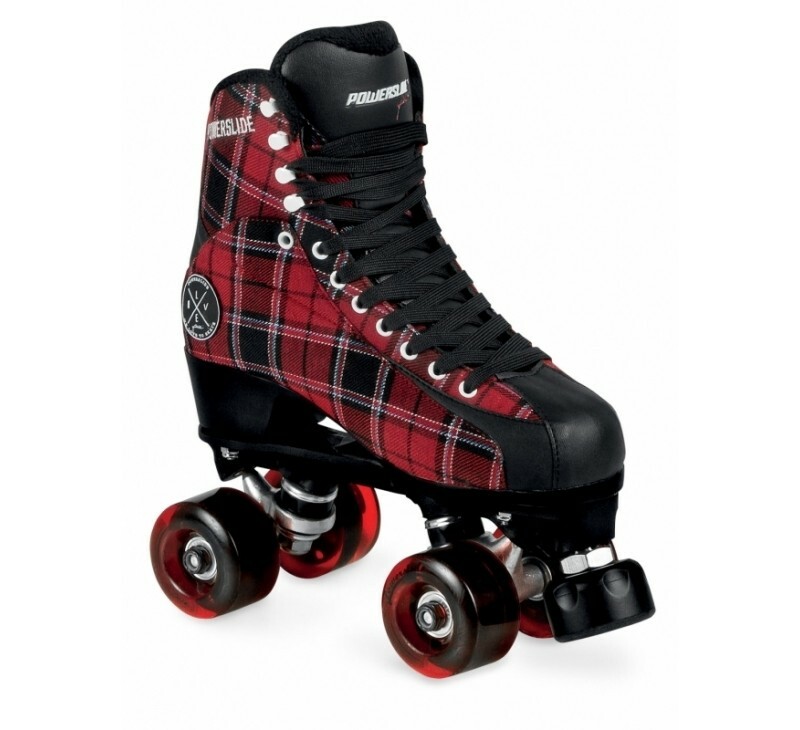 Powerslide Elegance Royal Quads Roller Skates - this retro skates in black and red checked pattern are equipped with 4x 58mm x 32mm wheels and ABEC 7 bearings. 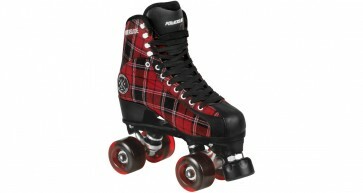 Upper: The boot from the black-red checkered skate is made of black PU suede and looks similar to a figure skating skate. Frame: The frame was made of a high-quality aircraft aluminum 60621. Thus, the frame is lightweight yet very stable and resistant. Wheels and bearings: The Powerslide Elegance Royal roller skates is equipped with 4x 58mm x 32mm large wheels with a hardness of 78a, and a Abec 7 bearings.